Château Beausejour-Duffau, is a Bordeaux wine estate and one of the 13 Premier Grand Cru Classes in the appellation of St Emilion. 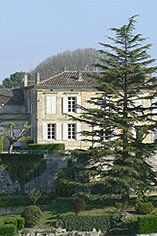 Formerly fully titled Château Beauséjour-Duffau-Lagarrosse, was originally part of a single estate with Château Beau-Séjour-Bécot. In 1869 the vineyards were split up between the owner's two children and they have been owned and run separately ever since. 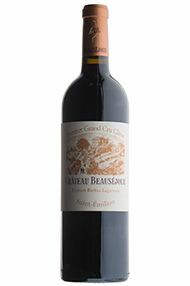 Beauséjour-Duffau, a 1er Grand Cru Classé B property, is located on the Côtes of St-Emilion, on the edge of a limestone plateau. Its vineyards are planted on soils rich in calcareous clay and limestone and adjoin those of Château Canon to the east and Château Beau-Séjour-Bécot to the north. Beausejour-Duffau's 7 hectares of vineyards are planted with Merlot (70%), Cabernet Franc (20%) and Cabernet Sauvignon (10%). The grapes are fermented in temperature-controlled, stainless steel and concrete vats and the wine is aged in barriques (50% new) for 18 months. It is bottled unfiltered. Under the brilliant management of Nicolas Thienpont and Stephane Derenoncourt quality has soared. 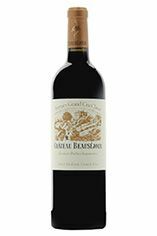 The estate consistently produces complex St-Emilion wines which are intense, powerful, full-bodied and redolent of black fruits, spices and minerals. It shows at its best with at least 6-7 years of bottle age. Charming, pretty dark fruit shows expectantly on the nose with notes of violets and a savoury hint adding to the mix. The 87% Merlot unsurprisingly dominates the palate, but it is still very elegant and fine. Not a blockbuster by any means, but fine, regal fruit and notes of oak lead onto the finish with ripe, fine tannins and crisp acidity. This wine was, for me, unquestionably the pick of the Nicolas Thienpont stable and one of the highlights of our Right Bank tastings. I could wax lyrical about the wonderful harmony between the grape varieties, the fruit, the tannins and the oak; I could add that it is subtle, profound and very long, but there is an undefinable extra, something almost ethereal which I would simply describe as "class" and which elevates this wine above most of its peers.